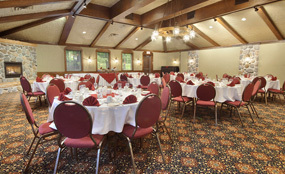 For everything from board meetings to large conferences, the Ramada offers a spacious and versatile event facility in a convenient location. 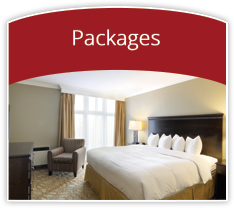 Your hotel experience at the Ramada includes more than just a room. 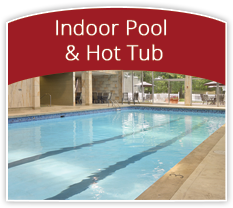 Stay active and have fun with our many onsite amenities. 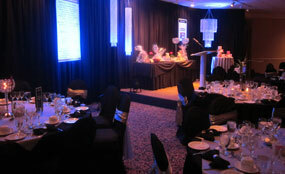 Host your wedding at the Ramada and create memories that will last a lifetime in one of our elegant Ballrooms. 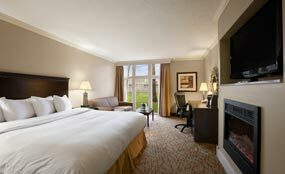 Our range of accommodations includes spacious luxurious suites outfitted with upscale in-room features and elegant décor. There’s no shortage of things to see and do around Cornwall. 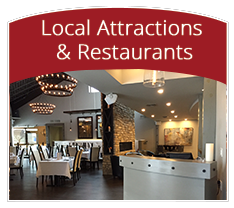 Explore exciting attractions just minutes from our convenient location. 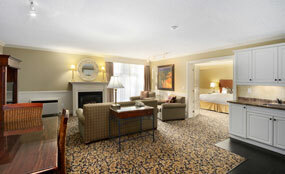 Welcome to Cornwall's premier full service hotel, where you’ll find luxurious rooms and upscale amenities. With a spacious indoor pool, an acclaimed onsite restaurant and an impressive array of features in every room, our hotel boasts the best combination of value and comfort in Cornwall. Our convenient location in Cornwall, Ontario along the US border and just 3km south of Hwy 401 with Montreal and Ottawa both an hour away. You'll also find many exciting attractions to enjoy right here in Cornwall. And if you’re travelling for a sporting event, we’re situated right across the street from the Benson Centre. Step into our stylish guestrooms and discover a world of relaxation and convenience with flatscreen TVs, complimentary high speed internet, large work desks, coffeemakers, refrigerators and more. From the stately comfort of our Standard Guest Rooms to the lavish elegance of our Executive Hotel Suites, our Cornwall accommodations offer choice and value for travellers of all needs and budgets. Start your morning with a complimentary breakfast, lounge on our sun-soaked courtyard patio or treat yourself a special evening at the Eight Zero Zero Resto Lounge. When you choose the Ramada Hotel and Conference Centre you can look forward to relaxing in style. Whether you're working out in our fitness facility, catching up on some work at our business centre or chatting with our friendly staff over complimentary lemon water and snacks, you’ll know you’ve arrived somewhere special. Eat. Relax. Connect in our Great Room. We strive to be one of the top venues for Cornwall weddings, meetings and special events. 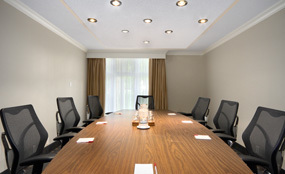 With 9 attractively appointed rooms, gourmet in-house catering and a trusted team of professional event planners, we have what it takes to host everything from elaborate banquets to intimate board meetings. 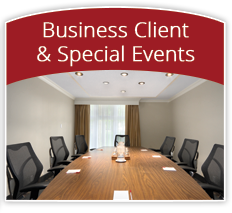 Reserve a room at Ramada Hotel and Conference Centre in Cornwall today. 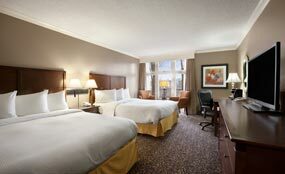 When you book online, we will always guarantee you our best rates. Take advantage of the fantastic savings offered through our Cornwall Hotel packages. Don’t hesitate to contact us directly with any questions, we’re here to make your trip to Cornwall easy and enjoyable. A little something for everybody in Cornwall this May!